Yesterday, 2/28, we celebrated Rare Disease Day to raise awareness about rare diseases and the 1 in 20 people they affect worldwide. ​500,000 of these individuals suffer from EB. EB Research Partnership aims to change that number to 0. 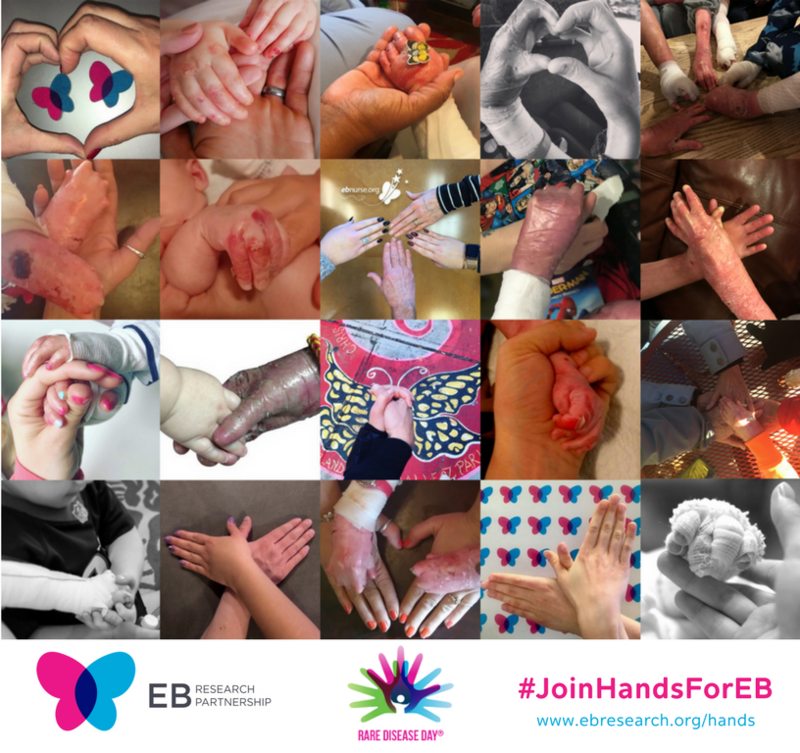 Thank you to everyone who joined hands with us this past month by sharing their stories and donating to our #JoinHandsforEB campaign! If you would like to make a donation to EB Research Partnership, click here to be redirected to our donation page.